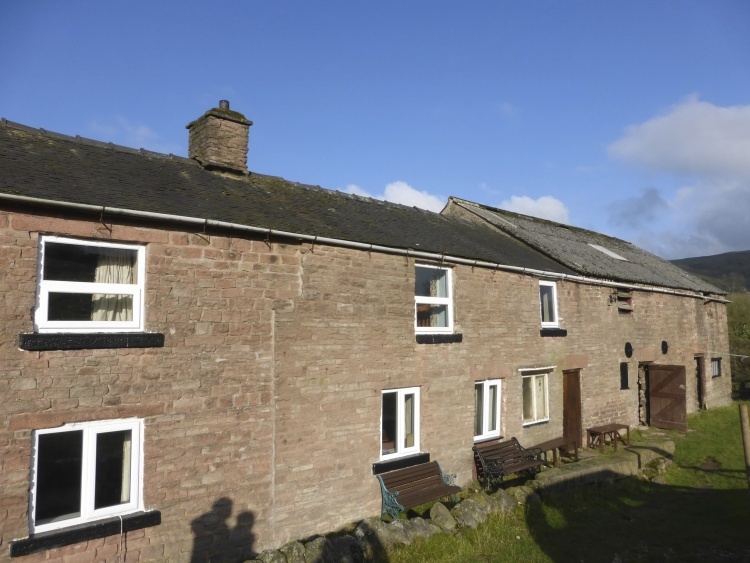 Back Dane Cottage is a former farmhouse situated in a remarkably scenic location on the Staffordshire side of the River Dane, near Wincle. 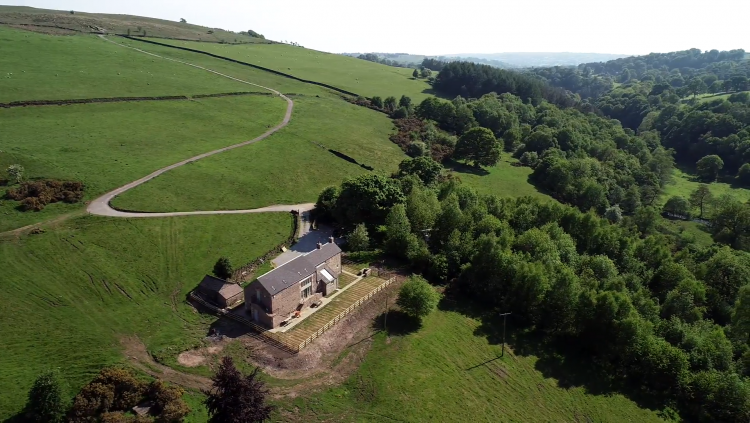 On the eastern edge of the Peak District National Park, the cottage and its grounds provide educational and recreational facilities for disadvantaged members of the community. The facilities are owned and run by the Beasley Back Dane Trust, a charity staffed by volunteers. The Back Dane Charity dates back to the late 1960’s, originally rented by the Scouts Association until 1974 when the Derby International Voluntary Service (IVS) took over the running of it. Unfortunately, the tenancy was short lived as the cottage burnt down two years later, destroying all but the kitchen and the small upstairs bedroom. In 1977, the property was forced onto the market. Derby IVS could never have afforded the buy Back Dane as a going concern. However, the sale of a burnt-down shell generated little interest from other parties – as you can imagine. This blessing in disguise meant Derby IVS was eventually successful in purchasing the property, together with the surrounding 3 acres. The building was then rebuilt by volunteers and opened for business again as a charitable holiday venue by 1980. 1984 brought mains electricity and continuous running water shortly followed a year later. Back Dane continued to see small improvements and additions over the following years, but the property was fast approaching dereliction and in desperate need of a complete regeneration. In 2014 a generous legacy was left to the trust by a much loved former trustee, David Robinson. 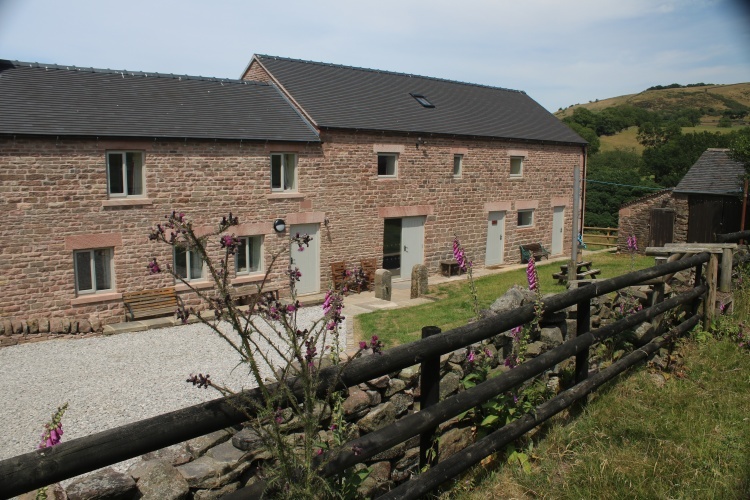 This legacy enabled the full restoration of the site and conversion of the barn to proceed. Morrison Design were engaged through ProHelp to carry out the design work and oversee the project. ProHelp is a national charitable business network, HRH Prince Charles being the Royal Founding Patron. Morrison Design have been members of the network for over 20 years. Projects are brokered to charitable organisations through ‘Business In The Community’ (BITC) to aid economic regeneration across the East Midlands, by providing pro bono professional assistance and mentoring services to not-for-profit voluntary and community projects. ProHelp provides much needed professional advice and assistance to around 200 community organisations and charities across the East Midlands each year. 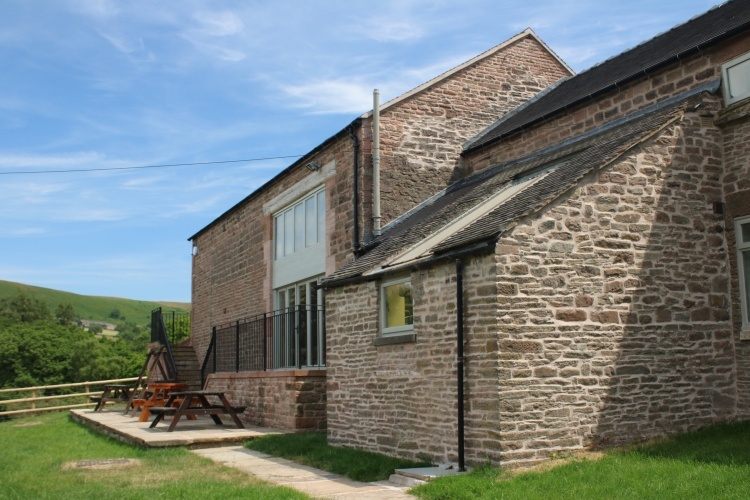 The brief was to refurbish the existing farmhouse accommodation and convert the derelict barn to provide new bunkhouse accommodation incorporating a large communal activity space, quiet room, showers and toilets, space for equipment storage and a workshop. Planning permission was granted in June 2017 and work started on site later that year. Detailed engagement with the Planning Authority at an early stage was central to shaping the finished design with the aim of reflecting the Park’s guidance and aspirations, while maintaining the practical requirements of the Trustee’s brief. 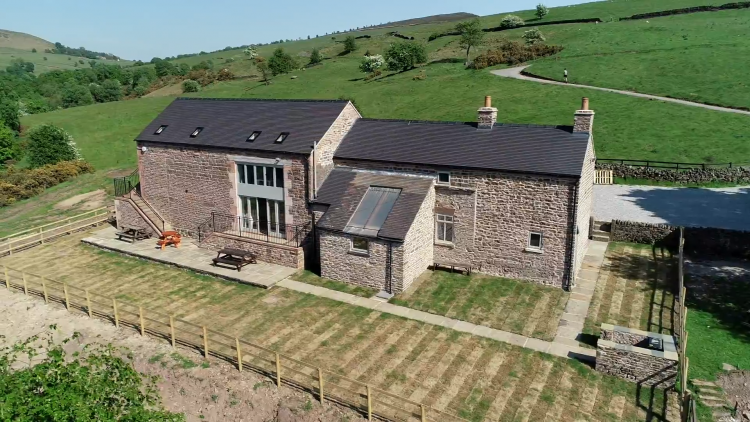 The original farmhouse and attached barn were sited harmoniously in the landscape, having a simple profile running parallel with the valley contours and constructed with local materials. Working with the character of the existing building, the new extension elongates the whole profile using the same palette of materials, (large grained pink gritstone, timber and Staffordshire clay tiles) preserving visual unity and sitting it comfortably with its parent building. 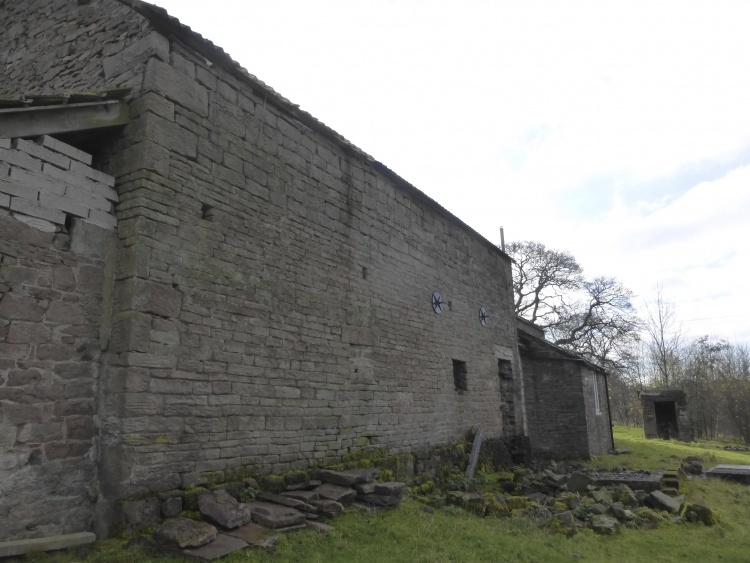 The proposals set out to maintain the local vernacular architecture by retaining the distinction between the farmhouse and barn, using appropriate traditional fenestration – limited in number, with small openings to the farmhouse and larger openings to the barn. The external joinery has been painted a neutral colour picking up the warm hues of the gritstone. In the same respect, ornamentation has been purposefully avoided and detailing kept as robust and simple as possible. Martin Bradley of Blackshaw Moor near Leek was employed to undertake the work, whose exceptional knowledge of stone masonry and use of traditional materials were evident. Careful attention was paid to matching the colour of the pointing with the stone and bedding widths and to ensure the course heights were matched perfectly with the existing. Locally salvaged stone and timber has contributed to the sustainability of the project and to the local economy. With the introduction of energy efficient lighting, appliances and insulation to the walls, floor & roof, there will be a considerable reduction in the building’s energy usage. Other sustainable materials such as metal gutters and low VOC paint have also been used. Careful consideration to the local wildlife was taken, leaving the bat visitors undisturbed throughout the construction process. 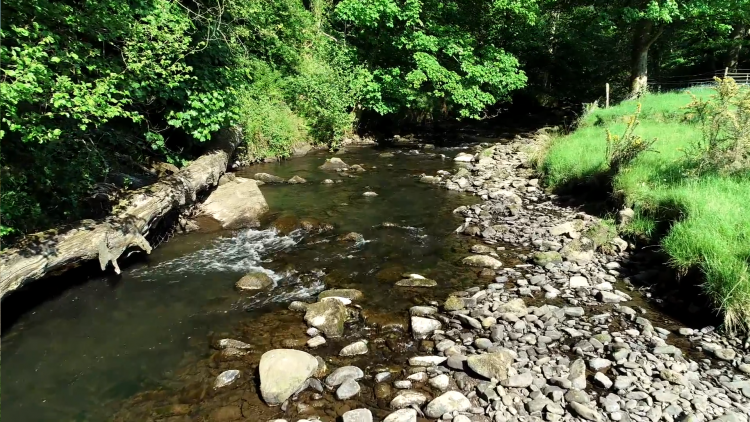 Sensitive working methods were employed and new roost creation was undertaken in accordance with recommendations set out in the report provided by the consultant ecologist. 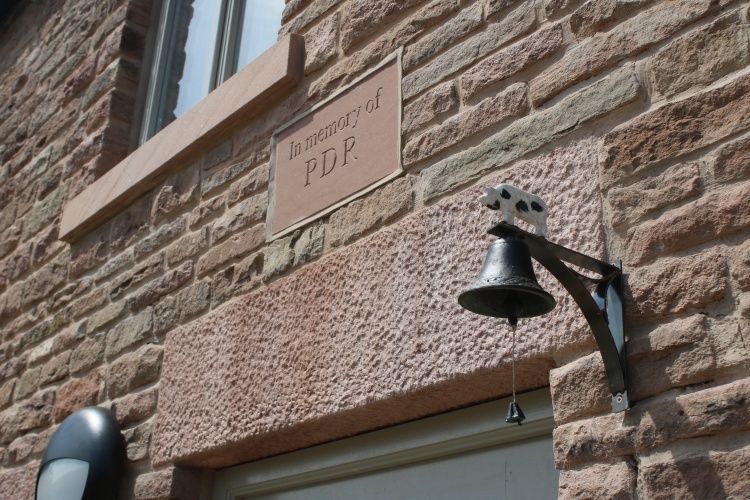 The completed Back Dane project now secures the future of the Trust. 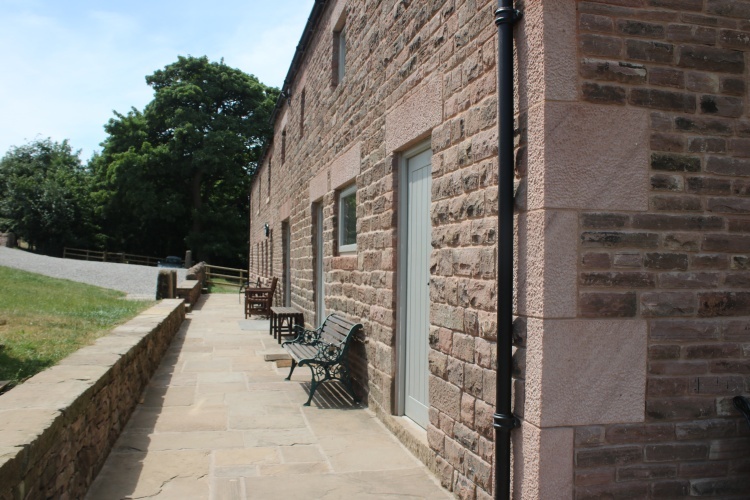 It provides accommodation for visitors who, due to personal circumstances, may not usually visit the countryside and offers a unique opportunity to experience and enjoy the Park’s special qualities, landscape and wildlife. The building; once in danger of dereliction, has been revitalised by an extremely high standard of craftsmanship, thus making it worthy of its context for generations to come. Not only does the Back Dane project satisfy an equilibrium between environmental, social and economical sustainability – in the broadest terms, it has also successfully “met the needs of the present without compromising the ability of future generations to meet their own needs” (Brundtland, 1991). Brundtland, G. (1991). Our common future. 13th ed. Oxford: Univ. Press. Make sure you are following us on social media to stay up to date with more exciting content!